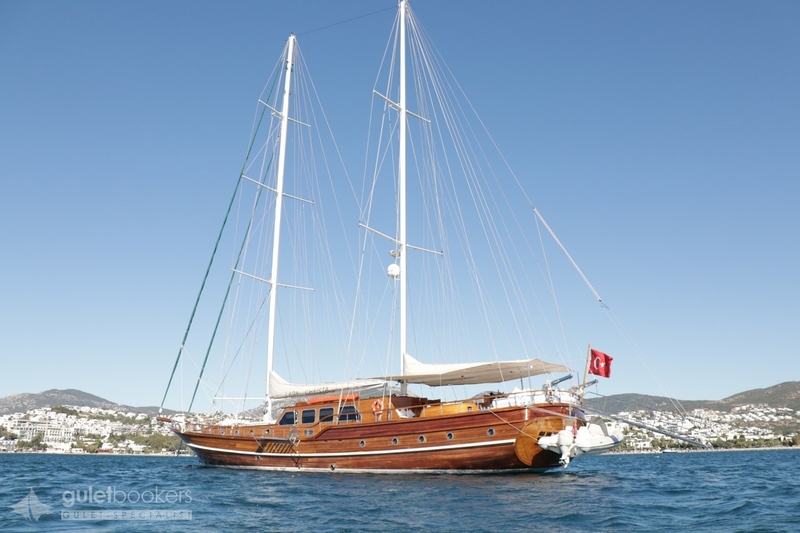 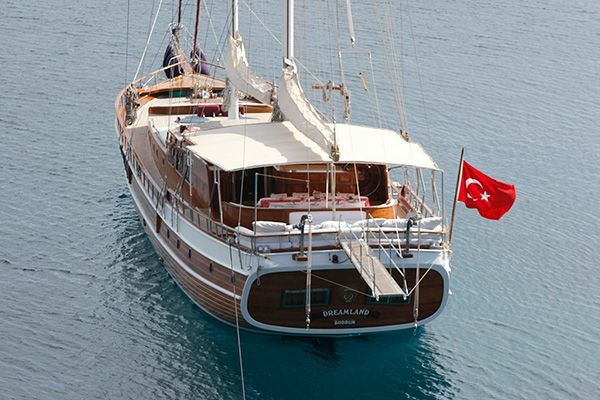 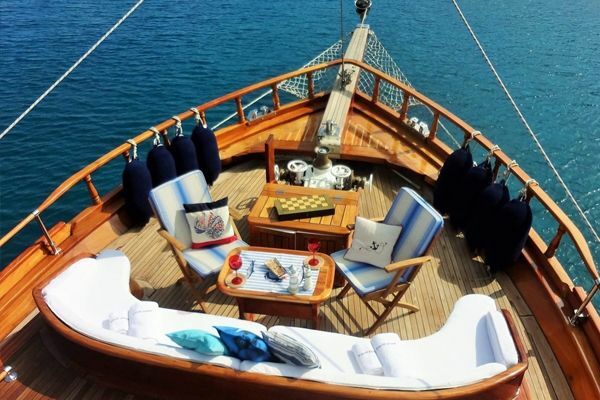 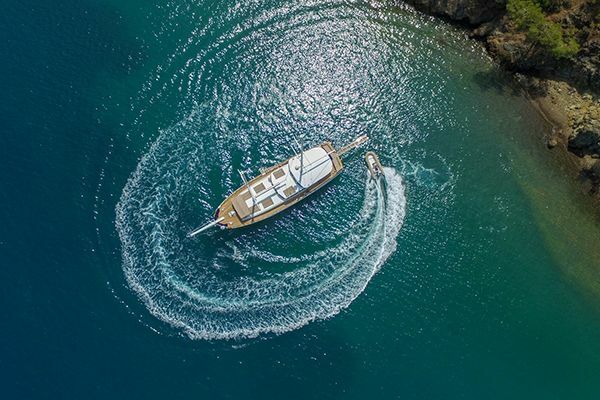 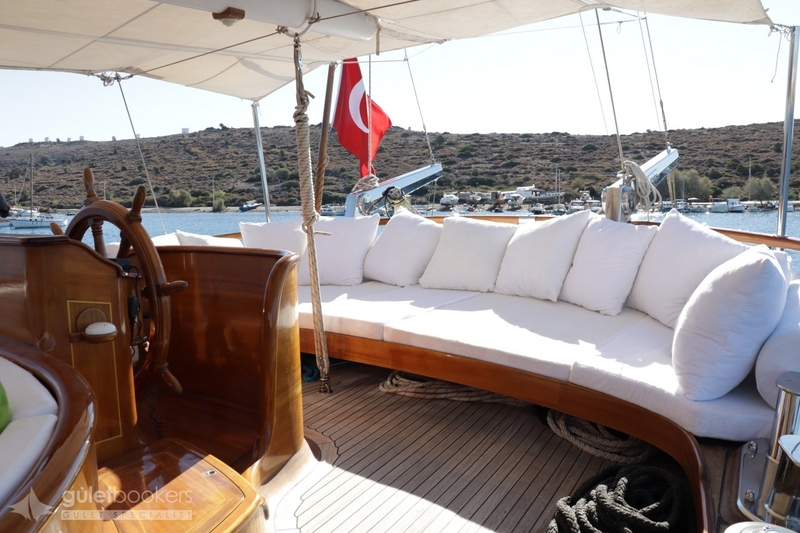 The elegant high deluxe Gulet Lady Christa 2 combines classic formality with inviting alfresco spaces for a very relaxed and luxurious yachting holiday, ideal for cruises in the East Mediterranean and coasts of Turkey and the Greek Islands. 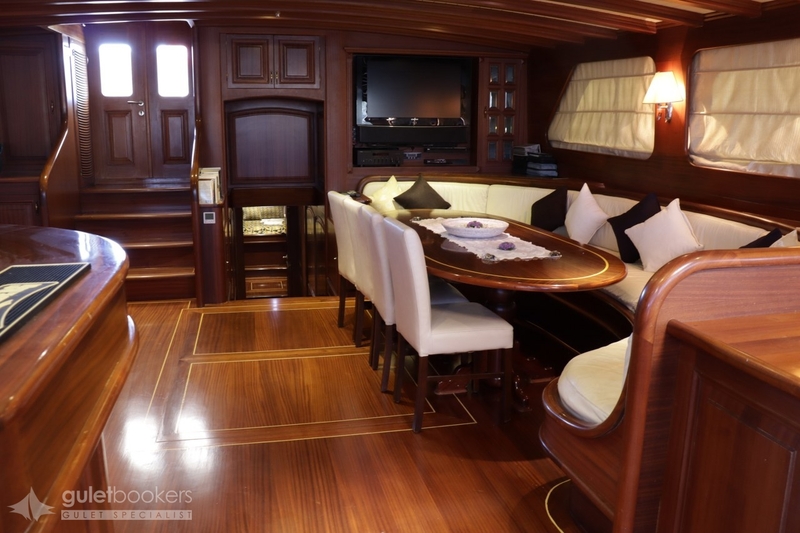 The polished mahogany wood finish in the formal dining saloon, and in the cabins, softened by white furnishings and surfaces gives a true nautical finish to spacious, comfortable indoor areas. 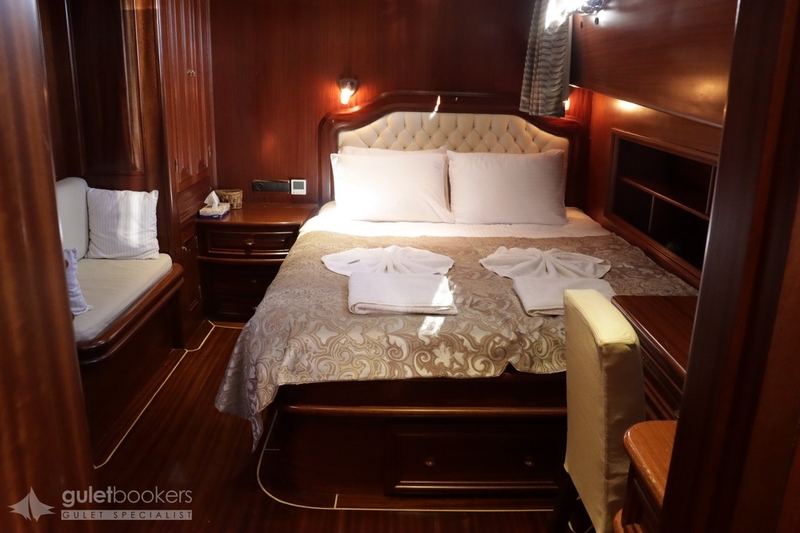 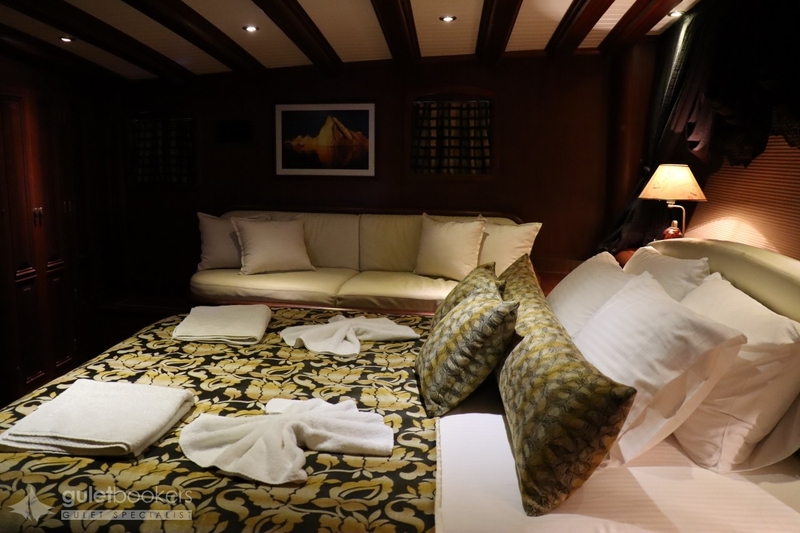 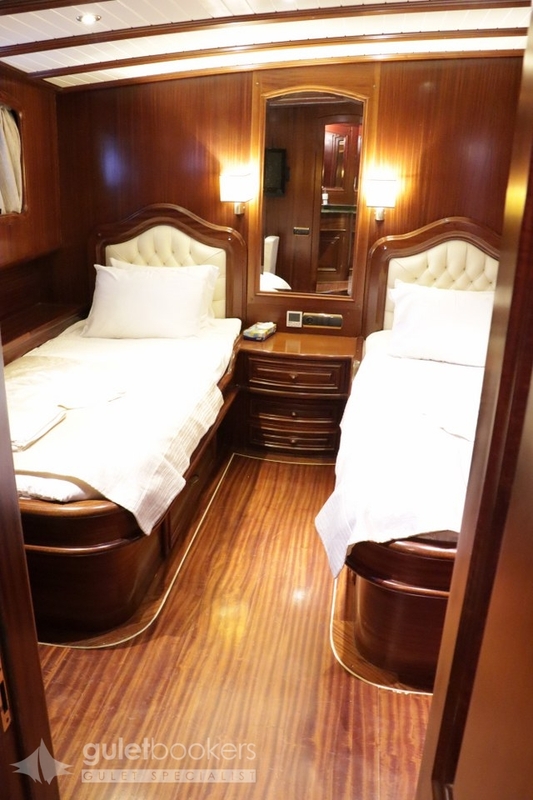 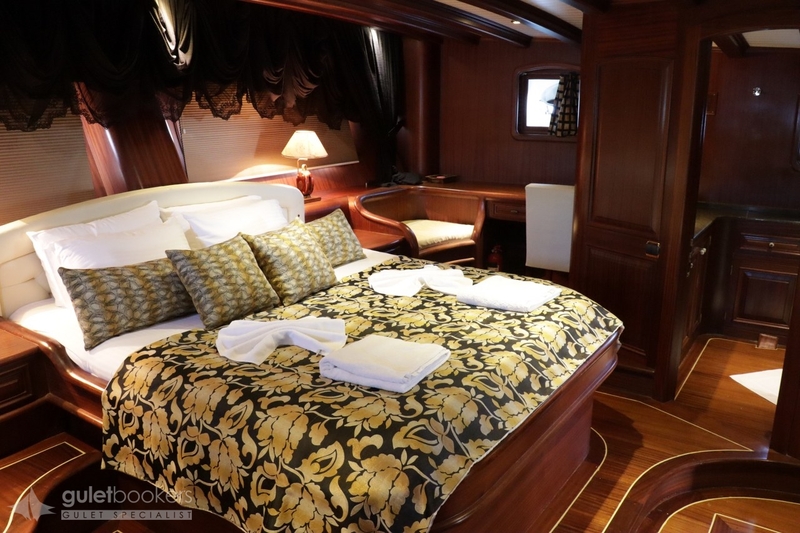 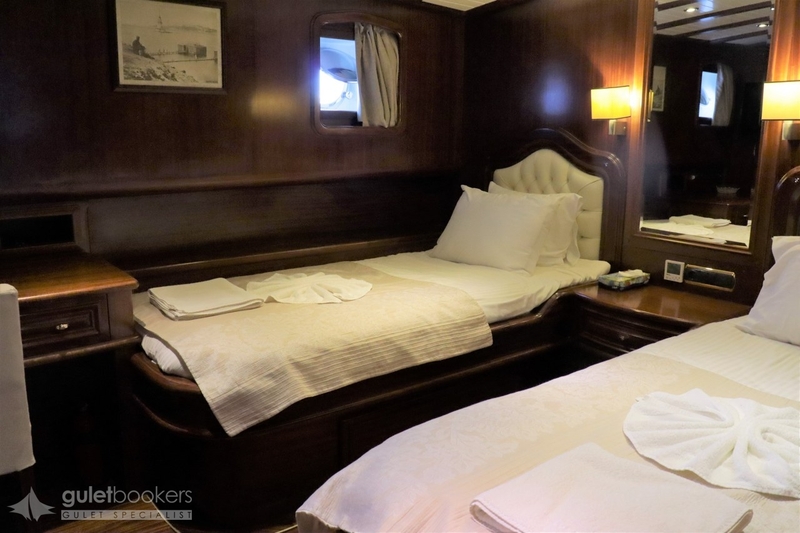 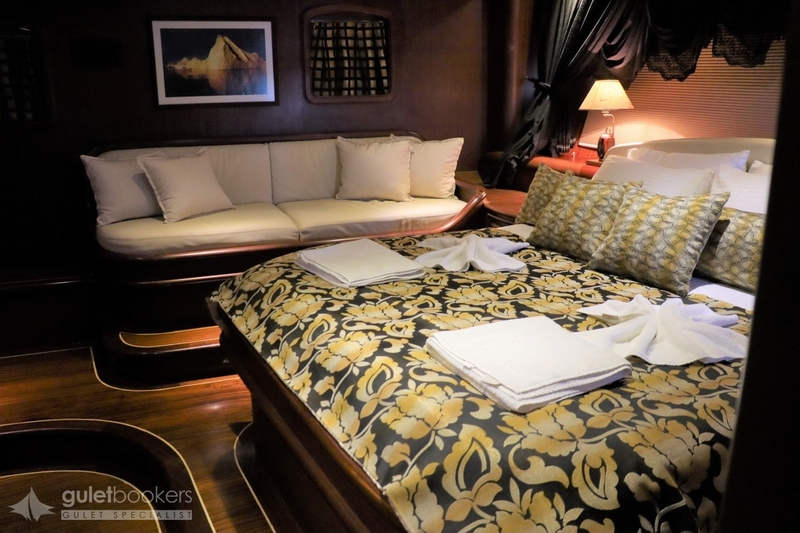 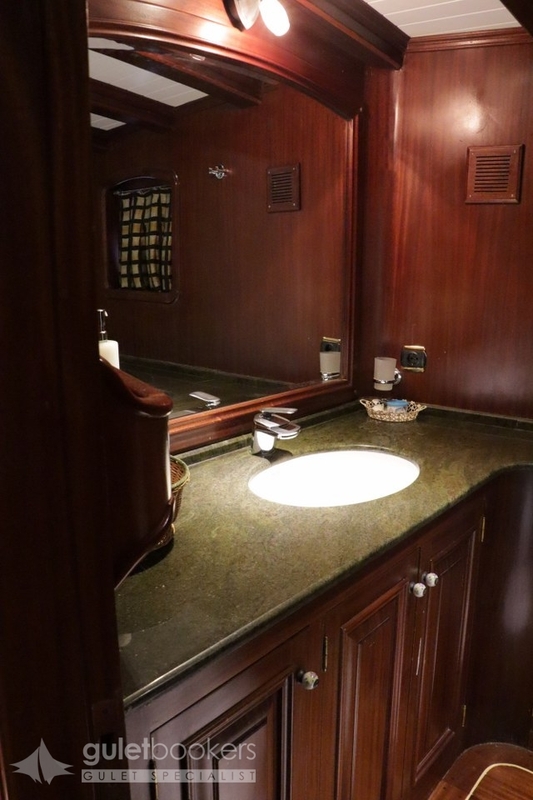 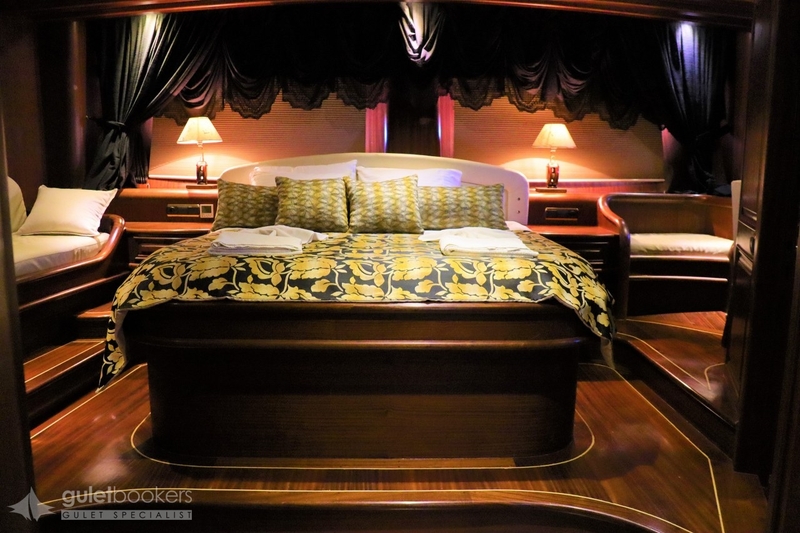 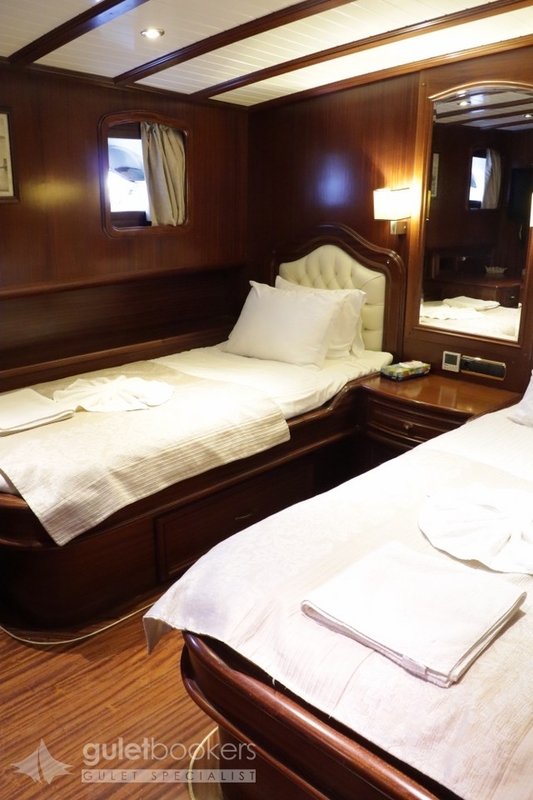 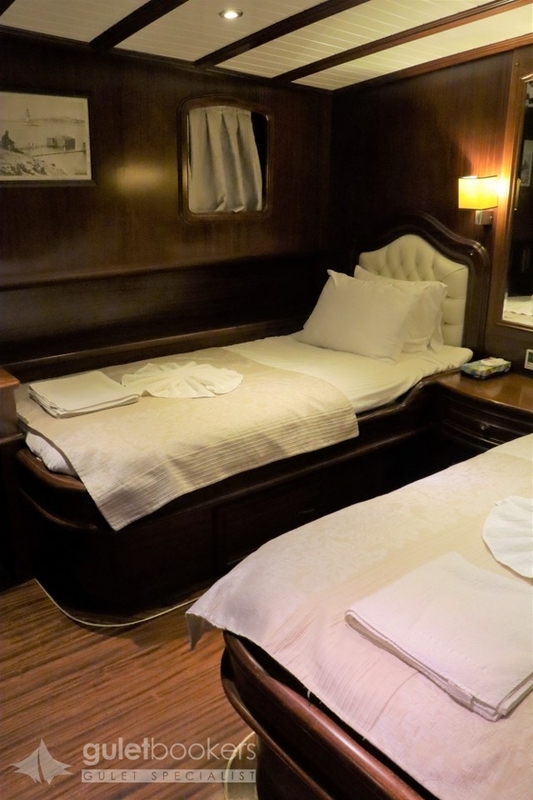 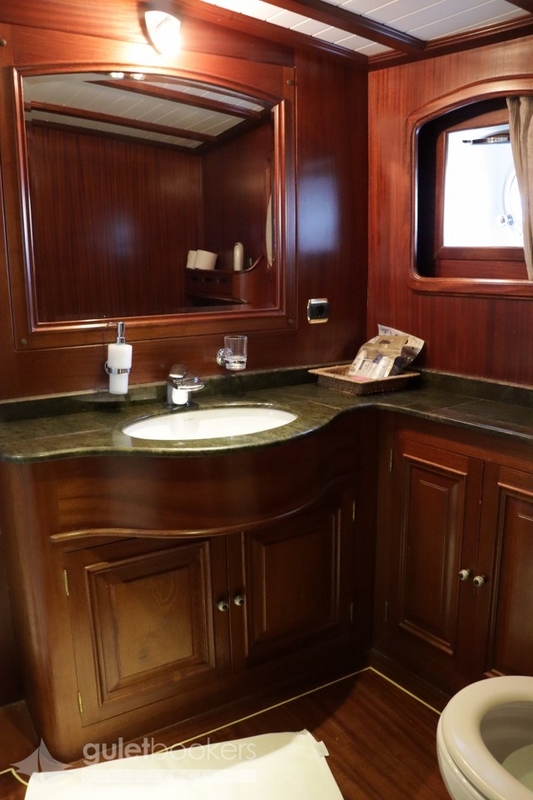 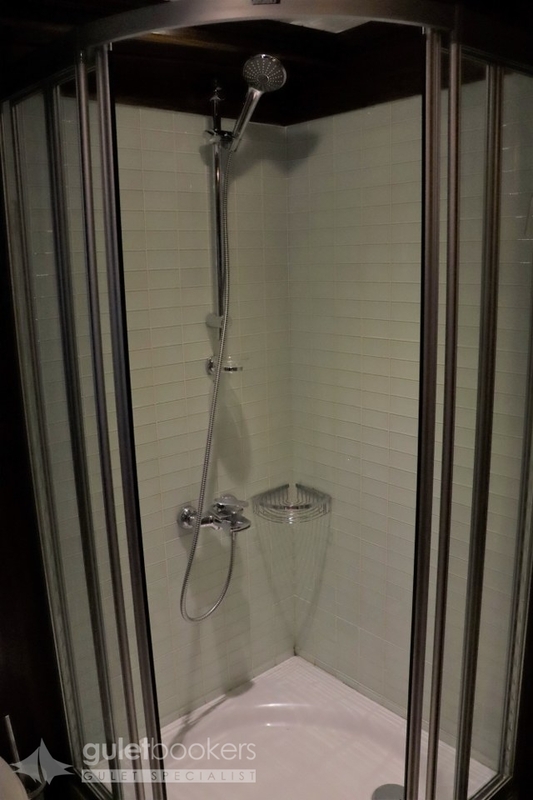 A practical combination of one master cabin, two double bed cabins and two twin bed cabins with well-appointed ensuite bathrooms offers excellent accommodation for ten guests. 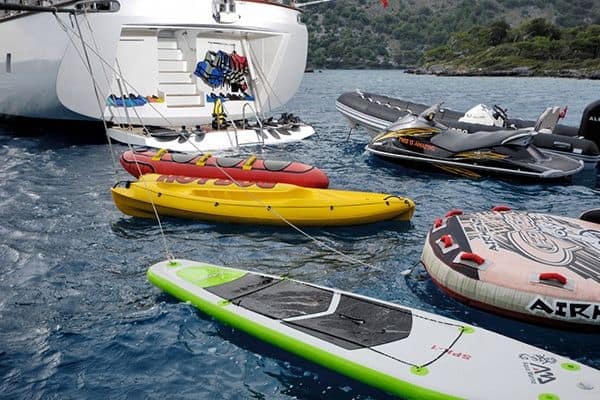 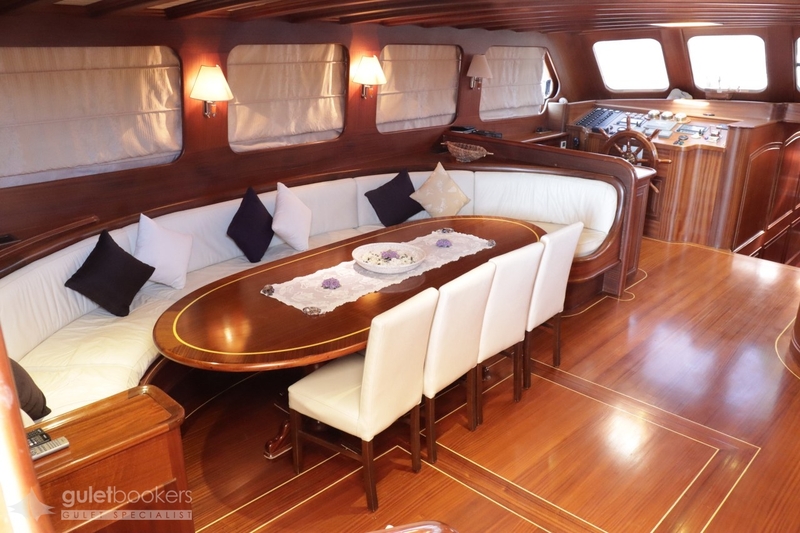 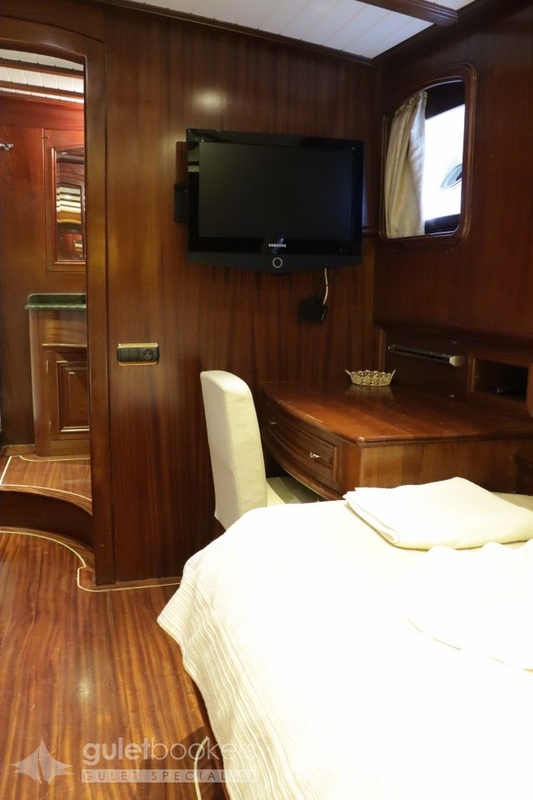 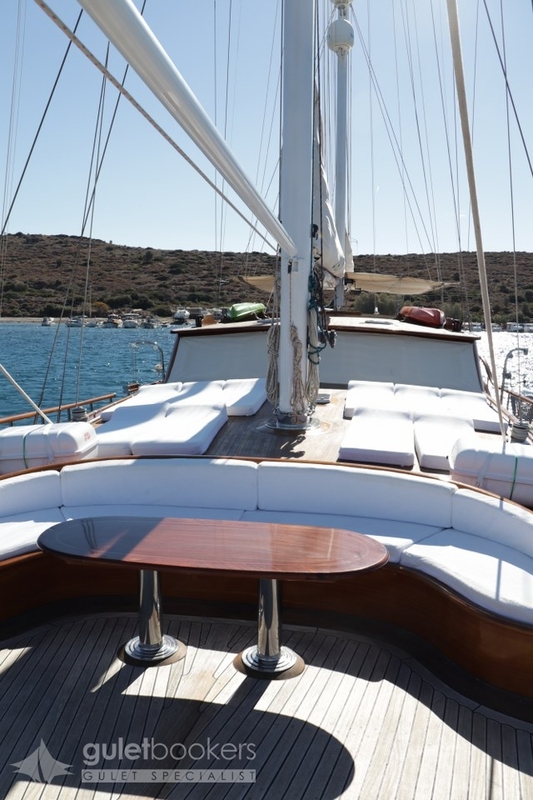 With TV/DVD and music systems in all cabins, full plasma screen TV system and connections in the saloon, plus canoe and windsurfer, the gulet has all the entertainment options for guests aboard and in the water. 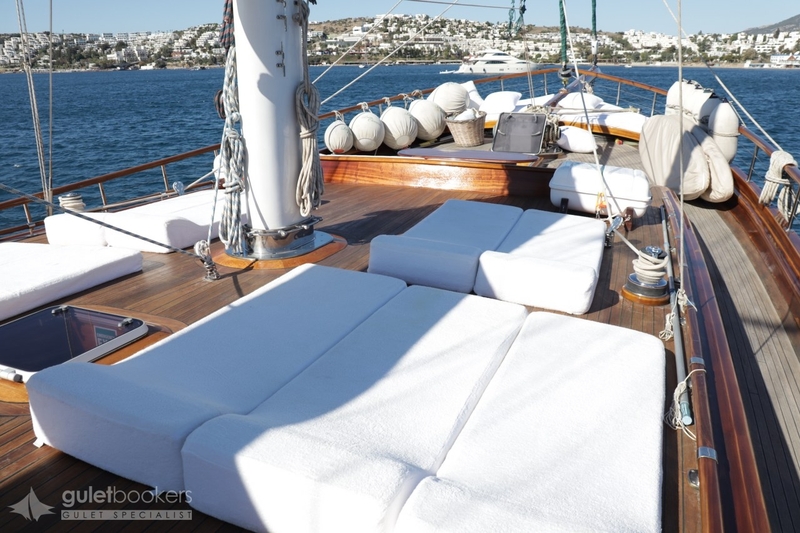 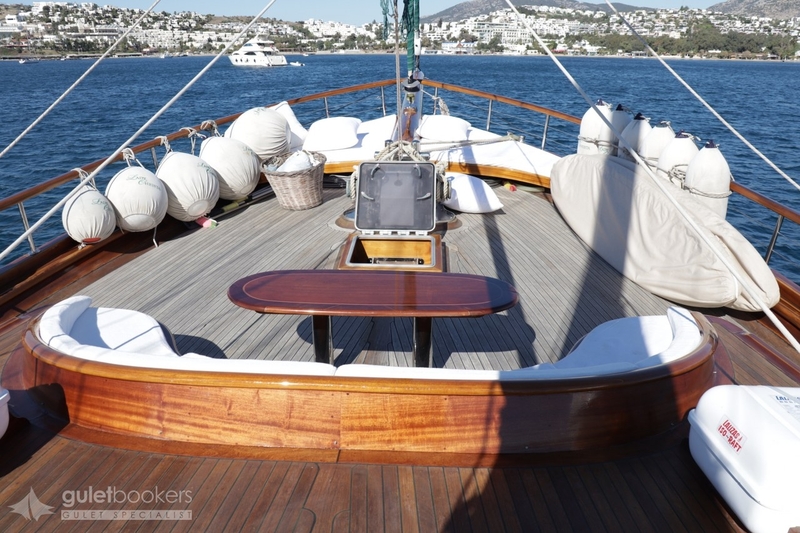 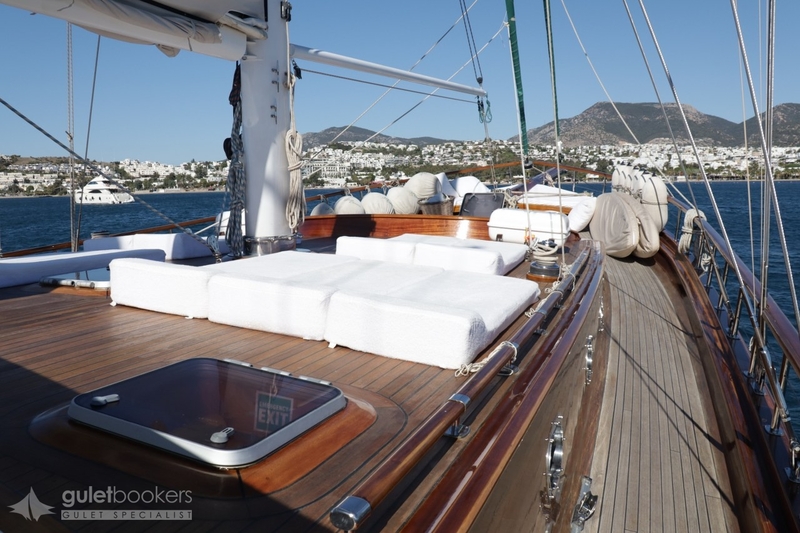 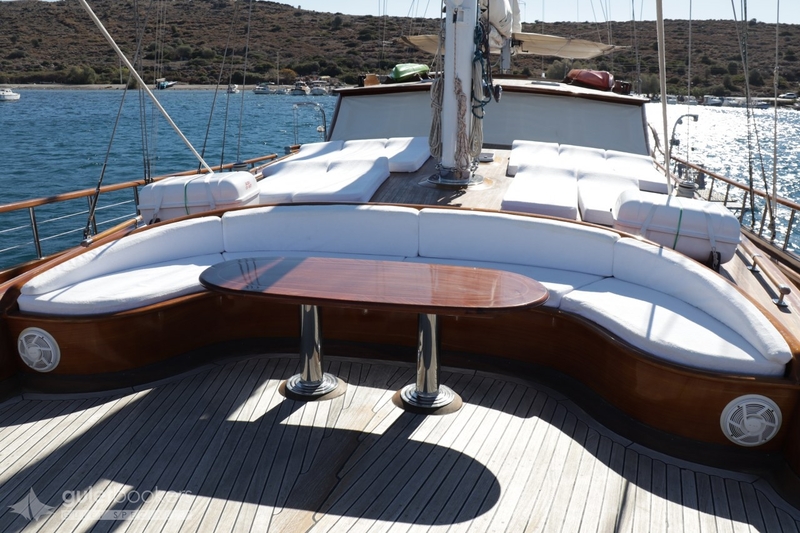 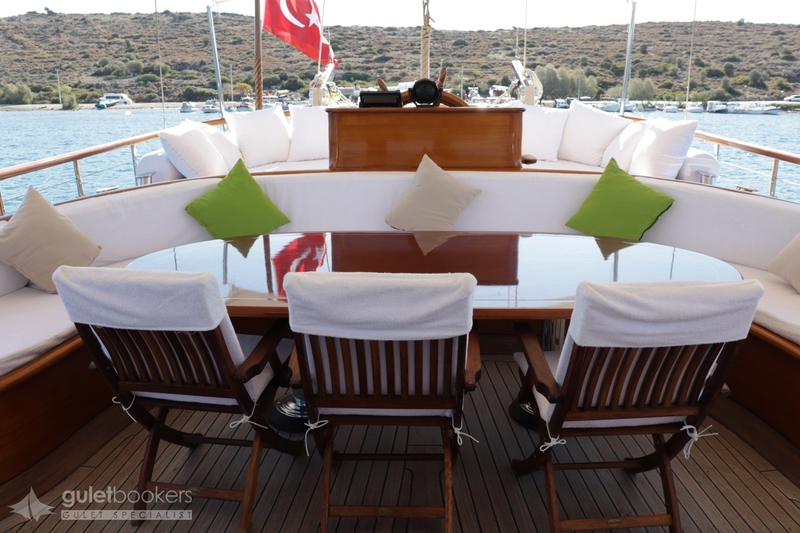 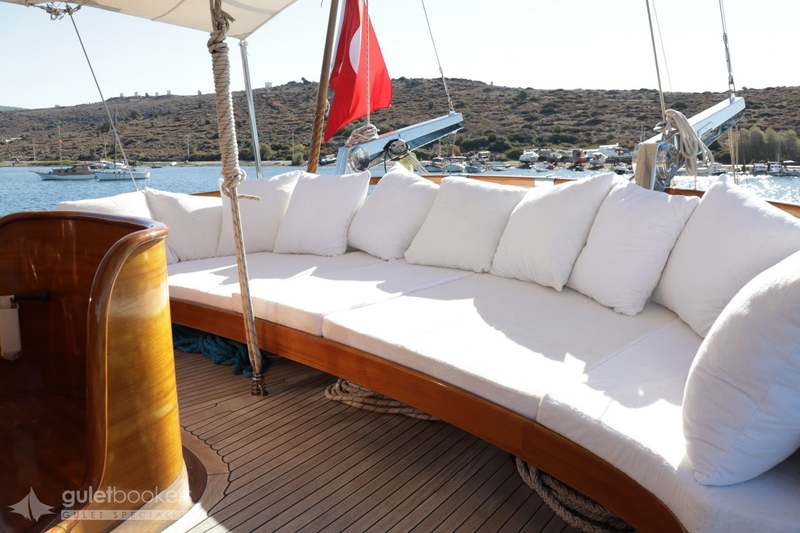 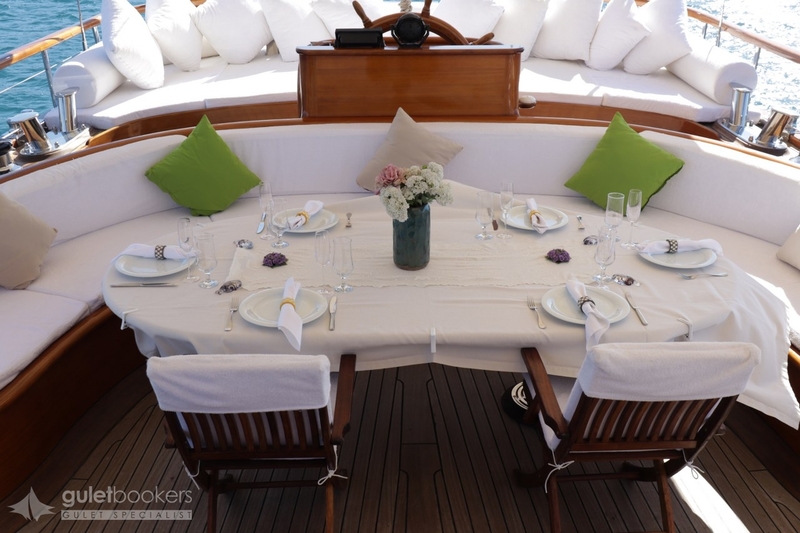 From the stern cushion pads to the fore deck sun beds to the very inviting curved cushioned bow seat there are ideal places for rest, relaxation, conversations and celebrations while enjoying the open air and beautiful scenery. 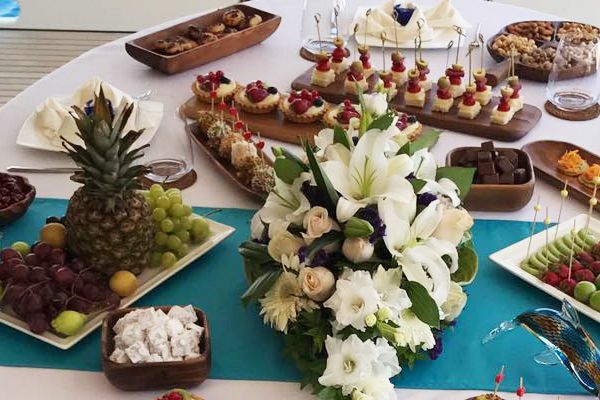 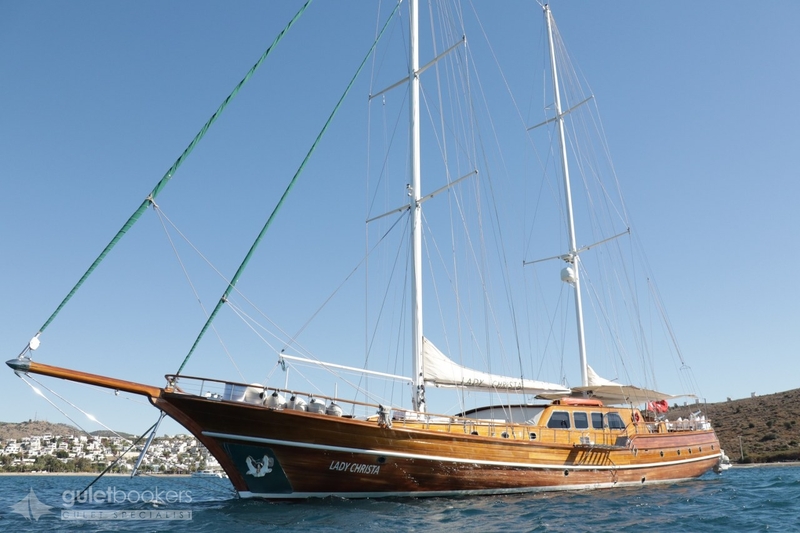 The gulet yacht Lady Christa 2 has a chef renowned for presenting truly wonderful gourmet meals included to pamper guests with some delightful al fresco dining on the aft deck by day or by night, as it is an All Inclusive gulet holiday. 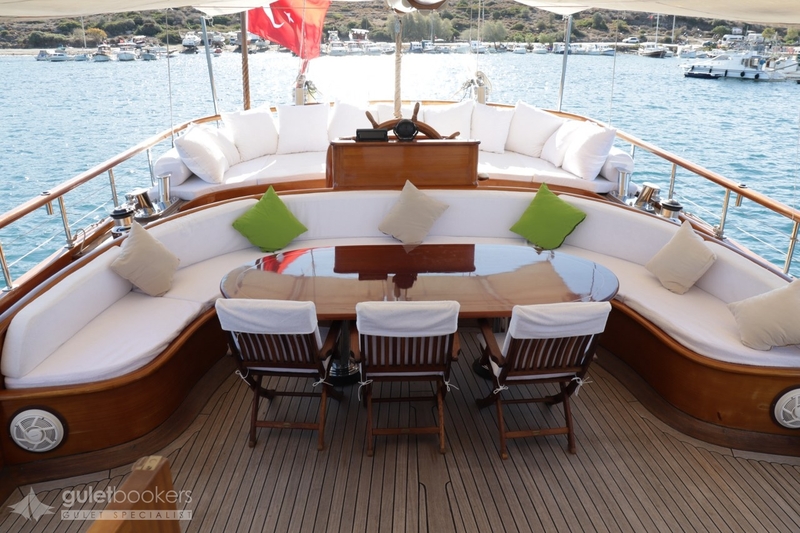 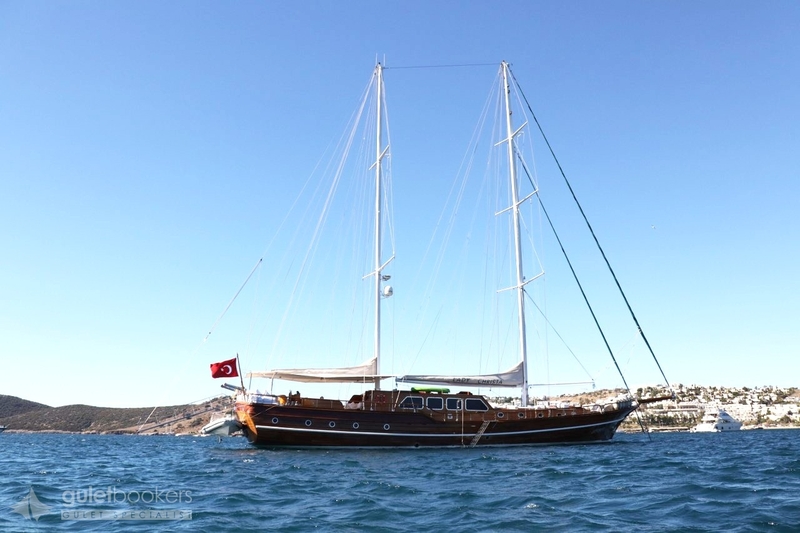 The crew is experienced and hospitable and will do all in their power to ensure families and groups of up to 10 guests enjoy a thoroughly relaxing gulet cruise holiday.